EDM pop duo (and Beach House stans) the Chainsmokers have announced plans for their next North American tour. Dubbed the "World War Joy" tour, the jaunt begins in Cincinnati on September 25, eventually heading north of the U.S. border for stops in Toronto on October 8 and Montreal on October 9. After dipping back stateside, the two-piece will return to Canada to bring the tour to a close in Vancouver on December 8. 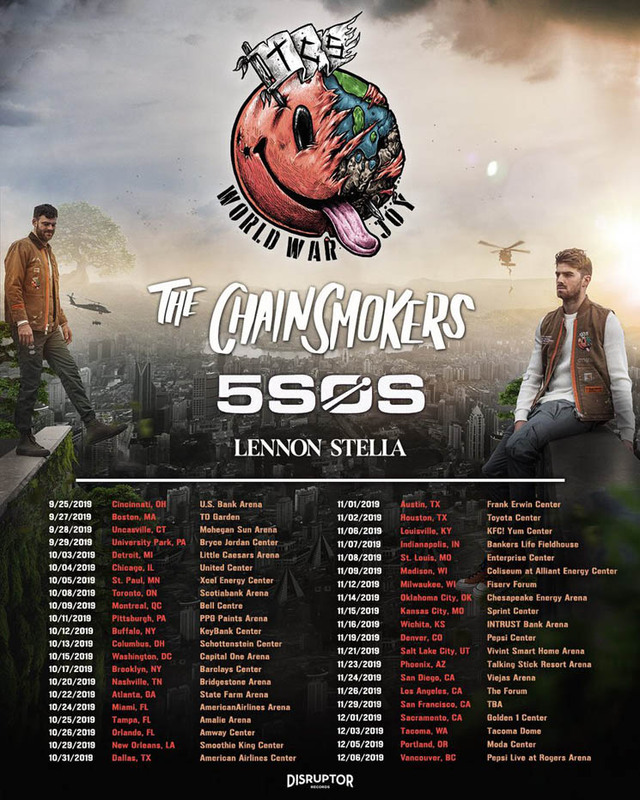 The Chainsmokers will be joined by opening acts 5 Seconds of Summer and Lennon Stella for the duration of the tour.